England rose to the top of the ODI rankings in May ahead of a tour to Scotland in June, to play a one-off One Day International against The Scots at The Grange Club in Edinburgh. 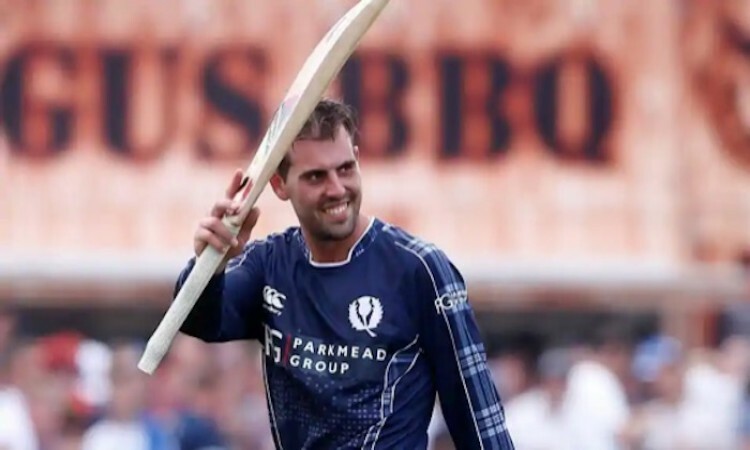 But Scotland – at 13th in the ODI rankings – would ensure that their great rivals first game ranked as the best team in one-day cricket would end in humiliation, winning the match by six runs to record the greatest victory in Scottish cricketing history. Usman Khawaja doesn't exactly fit the rumbustious mould than an Australian cricketer is stereotypically cut from, which perhaps made him an easy scapegoat when he was inexplicably run-out against Bangladesh in August 2017. But in the wake of much criticism ever since, the Pakistani-born left-hander has remained as Australia’s No. 3 and in the first Test match against the country of his birth in October this year, Khawaja put on a heroic stand to salvage a draw from what looked like certain defeat for the Aussies. Australia went into the match as underdogs with bookmakers like Betfred and Ladbrokes and were staring defeat in the face in Dubai. Against all odds and with 140 overs to survive and 462 runs to chase down, the 31-year-old hit a remarkable 141 runs in his second innings, spending almost nine hours in front of the wicket to guide Australia to an unlikely tie. Khawaja had already hit an impressive eighty-five in the first innings, but his feat of endurance in the second saved the match and sparked a celebration amongst Australian fans that would have felt like a career-defining moment for Usman in silencing his critics. Jimmy Anderson became the most prolific fast bowler in Test history in September, with his 564th wicket – taking him one past Glen McGrath – poetically ensuring England recorded a 4-1 series win against India, the world’s number one ranked side. England had earlier secured the series victory by winning the fourth Test by 60 runs to take a 3-1 lead, but it was the 118 run victory in the final Test, along with Anderson’s entry into the record books that sticks in the mind. Off the back of their defeat in Scotland, the fortunes of the England ODI side came full circle later in June, as they recorded their first ever 5-0 win against the mighty Australia. Jos Buttler made an emphatic unbeaten 110 to give England a dramatic victory in the fifth one-dayer and make sure of the whitewash, giving English cricket great hope ahead of hosting the World Cup next year and inflict misery on the Aussies. If you fancy England to triumph in the 2019 Cricket World Cup try these betting offers here. They go into the tournament at 11/4 favourites with 888sport, while five-time winners and reigning champions Australia are favoured behind the hosts and India at 11/2 with bookie Betfred. There was however no point this year when Australian misery was greater than when the crimes committed by Steve Smith, David Warner and Cameron Bancroft in South Africa came to light. Bancroft was caught by television cameras attempting to roughen one side of the ball to make it swing in flight, an action that was later discovered had been discussed prior by Captain Smith and Vice-captain Warner. All three players were handed unprecedented sanctions from Cricket Australia and the fallout was huge, with the ramifications continuing to hang-over the Baggy Greens months down the line.